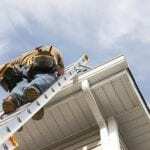 Gutter replacement will keep your Concord home safe and protected. Gutters are often an underappreciated part of your home. 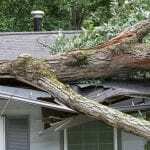 They do a lot of dirty work and keep debris and moisture from accumulating on your roof. They work constantly to protect your home, and when uncluttered and in good repair, they do a great job of providing adequate protection. As soon as gutters become damaged, you are in need of gutter replacement. This is not something that you should put off. Neglecting your gutters could lead to serious and expensive damage. Here are just a few signs that you need gutter replacement. Even the best gutters need to be replaced every so often. If you suspect something is wrong, do not hesitate to call us at JM Reynolds Builders, LLC. We can come out to evaluate your gutters and determine their effectiveness. It is usually best to have them checked twice a year to make sure you’re prepared for the seasons with high precipitation and foliage. At JM Reynolds Builders, LLC, we have decades of experience with replacing and installing gutters. We have spent years focused on this area of the home, so we can be the experts you turn to when you are in need of new gutters. Gutter replacement will keep your Concord, North Carolina home safe and protected. At JM Reynolds Builders, LLC, we offer gutter replacement services in Concord, Kannapolis, Charlotte, Salisbury, Mooresville, Huntersville, Granite, Quarry, Davidson, and Paw Creek, North Carolina.